Her it is! A rare opportunity! The perfect place to build that home of your dreams. 4.9 Acres on Lake Michigan. Level land with mature trees...313.4 ft of pristine, private sand beach frontage with unbelievable views. This is the lot you have only dreamed about and ready for construction of your dream home with a resort feel. 8 minutes to Whistling Straits Golf Course. 10.5 acre property with 486 feet of level Lake Michigan frontage to enjoy all your water sports and easy launching availability with woods. 1 mile north of Port Washington. Riverfront living in the 3rd Ward of Milwaukee. Generously sized 3BR south east corner unit on the 7th flr offers a light filled condo w/fantastic south & east views of the Milwaukee River & the city. The large wraparound main & 2nd BR balconies offer you the option of sun & shade. Gourmet KIT offers High end SS appliances, gas range & 2 convection ovens. Elegant MBR has a large walk in closet w/built-in storage. Luxurious master BA includes separate shower & oversize tub. 2 underground parking spaces. 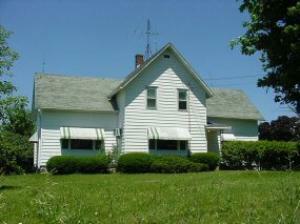 Hobby farm on 3 acres with 3 bedroom, 1 bath farmhouse. Includes barn, outbuildings and 2.5 car garage - plenty of storage space for toys and hobbies.